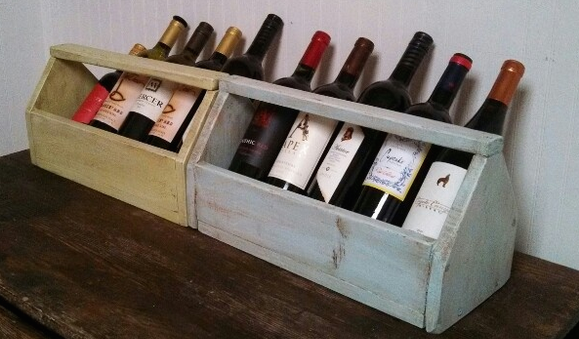 Google “Old Tools, New Users” and you will find a host of innovative ideas for how to recycle old rakes, hammers, screwdrivers, clamps and even the toolboxes that once held some of those things you no longer use. These sites offer new life for our favorite old (but now unused) implements by giving them updated roles in our updated lives. 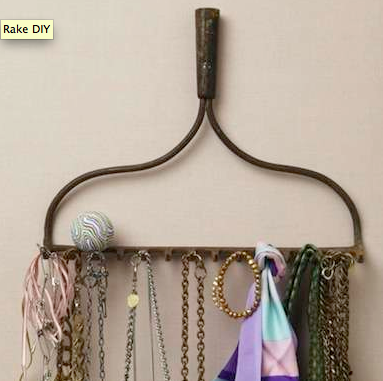 I don’t need this old (but cool-looking) rake but I do need someplace to hang my scarves and necklaces. Voilà! Problem solved. 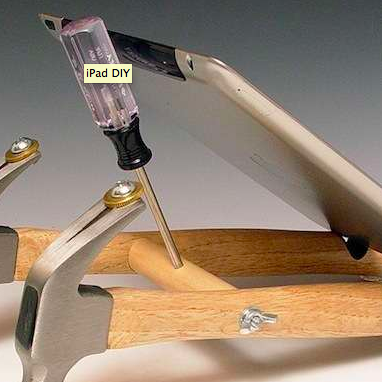 I don’t need these extra hammers, but they could do a great job holding up my i-Pad. Just like old rakes, hammers, and pitchforks, old linguistic tools have been repurposed by DIY adventurers, and their new uses have multiplied on the web. For example, a dialect survey created in 1930’s by the linguist Hans Kurath has become widely known via internet-mediated social circles. This survey includes two parts: a list of words to read aloud, to illustrate how you say them (including Water, Crayon, Caramel, Syrup, Pecan & New Orleans), and a list of prompts to elicit what locals call certain items (For example, “How do you address a group of people?”). The original purpose of this survey was to gather data that could be used to construct Regional Linguistic Atlases. And Kurath created several of these, in multiple volumes, using his survey and careful statistical mapping to characterize local dialects of the United States. Just over a year ago, a version of Kurath’s survey reappeared as a modified and internet-ready “Dialect quiz” in the New York Times, How Y’all, Youse, and You Guys Talk. Another re-tooled version of Kurath’s dialect survey surfaced before the NYT “Dialect Quiz,” and circulated through Tumblr and YouTube as the “Accent Challenge” or “Accent Tag.” There are now thousands of Accent Challenge videos posted on YouTube. These performances illuminate features of English in today’s world that could never have been predicted by Kurath as he and his research assistants traversed the States with their trusty notebooks and gigantic recording devices. English that Includes Korean: One accent challenger, featuring what she calls a “Konglish” approach, reads through word list and prompts twice: Once, as she would say things when she is with her Korean friends and again, as she would talk with her American friends (see previous Post). English Around the World: The accent challenge videos go far beyond Kurath’s boundaries of the United States, including Jamaica, Australia, New Zealand, and dozens of finely divided regions of Ireland, Scotland, and England. English and Exchange Students: Some accent challengers have even used the survey as a way to compare the different varieties of foreign accented English—and comparisons of the differences between Swiss, German, and Italian speakers. Stories of Language Use: Almost all accent challengers take their time with the survey, prefacing the reading of the list with long stories of how they grew up speaking certain ways and with whom, and interrupting their survey with asides that add to their story. All of these Accent Challengers (and there are many more varieties) display an awareness of their own and others’ speech that Kurath could never have fathomed or welcomed, as he set out to document the unmonitored, regional speech of rural folk. Now, working with teens in high school English classes, I’ve had them develop their own New and Improved Accent Challenge, to explore language around them. They’ve devised new word lists and prompts that depart from the standardized goals of Kurath, to ask peers, parents and locals about more contemporary local language distinctions. Instead of asking “What do you call a small bug that rolls into a ball when touched?” for example, they’ll ask “What do you call the dairy dessert that comes from a machine?” since the distinction between those who say “soft serve” and “custard” appeals more to them (as citizen researchers) than the name of a roly-poly. Most old tools probably did their job well. Rustically beautiful rakes and hammers remind us of simpler times, while lending a hand in our modern homes. The new role of linguistic tools can also bring to mind a simpler communicative time and simultaneously illuminate some features of our updated communicative world. Repurposed and in the hands of citizen sociolinguists, Kurath’s old survey does not lead to several more pounds-worth of bound volumes of linguistic detail, but instead, it builds awareness and sparks dialog about complex forms of linguistic diversity. The conversations brought on by these repurposed linguistic tools go beyond “roly-poly” or “custard” and “soft-serve,” building awareness of linguistic difference, how quickly it changes, how it separates us, or can draw us together. Have you made new discoveries by using old linguistic tools like the “Dialect Quiz” or the “Accent Challenge”? What other old linguistic tools are you aware of that might take on new uses today? In my last entry, I made the assertion that, given the opportunity, people speak up about what they know about the language they use. And now, thanks to the Internet, we can bear witness to that speaking up—and learn something important about language from these Citizen Sociolinguists. While the list of words and lexical prompts could take about 60 seconds to recite, Kelly’s video lasts longer than eight minutes because, as a Citizen Sociolinguist, she takes time to contextualize her performance. She mentions that she grew up in North Carolina and Atlanta, Georgia, that she was raised by Korean-speaking parents, and that at the age of 10, “when kids develop that whole language thing,” she went to Korea to live. Then, she moved back to Southern California as a teen. Because of her varied experiences with language, she performs the Accent Tag both in her “American” accent, and as a “Konglish” speaker. A speaker does not necessarily orient to one standard pronunciation, but selects between many possibilities. The more experiences one has in different contexts, the more choices one has available—Korean? Texan? Californian? How one pronounces or selects words can be a social choice—“People always picked on me,” she says, when she spoke English in Korea. And so she spoke differently there. Speakers have awareness of what they want to sound like and why they say things in certain ways. This video also yields one ominous observation: Despite these liberating aspects of Kelly’s performance, a sense of a judgment looms; A Standardizing Big Brother lurking somewhere, wanting to say someone sounds way off, really weird, FOBy, or jumbled up (all words Kelly uses to describe her own fluid language use). As Kelly’s video exemplifies, under the imagined gaze of Standardizing Big Brother, sometimes people on line speak apologetically about their own language—voicing comments they have heard from other people. Other times, people speak out about more nuanced features of their own language. Usually, the same person does a little bit of both. Have you performed an accent tag video? Have you found one you appreciate? What did you think of Kelly’s? Post your comments and findings here!